W e are pleased to invite you to participate at the XXI Mendeleev Congress on General and Applied Chemistry which is to be held in Saint Petersburg, Russia, September 9th – 13th, 2019. 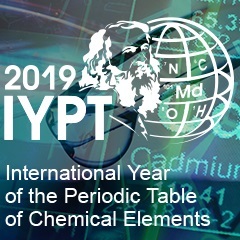 This will be one of the main events of the International Year of the Periodic Table of Chemical Elements proclaimed by the UN in December 2017. In 2019 , the 150 Anniversary of the Periodic Table of Chemical Elements, the most famous scientific achievement of Russia for all the times of existence of the Russian science, is celebrated. The subject of the congress is dedicated to the main directions of the chemical science development, technology and industry, chemical education, and the interaction of business with science and industry, which significantly differ from the usual issue-related scientific conferences.